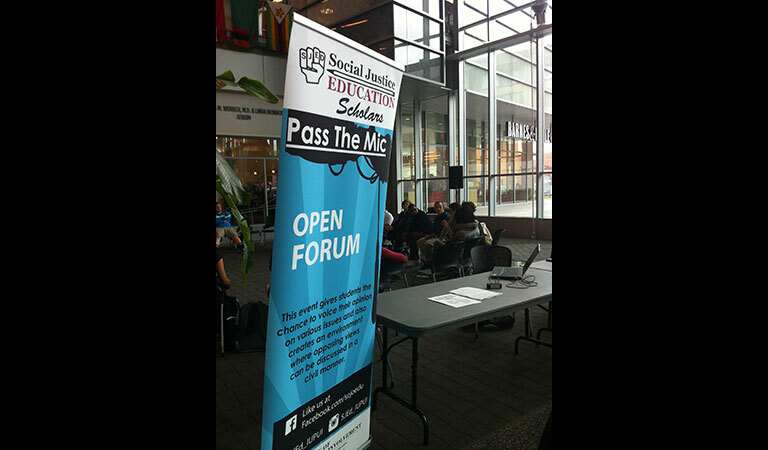 Organized and facilitated by IUPUI Social Justice Scholars, "Pass the Mic" events bring IUPUI students together to discuss important issues including current legislation, campus climate, and other topics related to social justice on campus and throughout our communities. 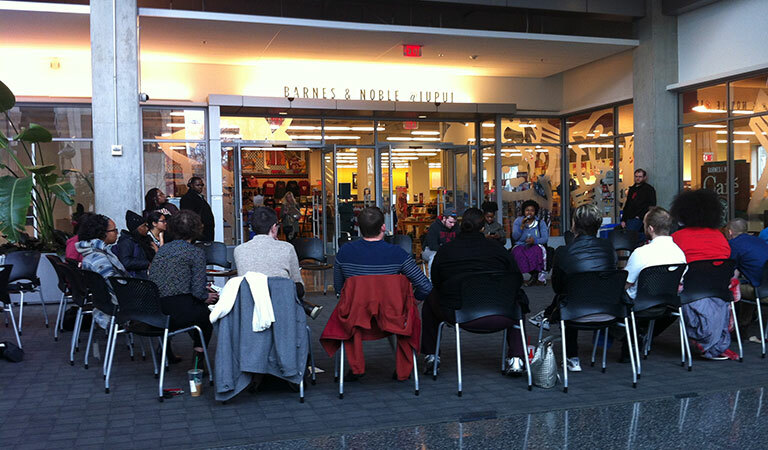 IUPUI's eight Social Justice Scholars are interested social equality and topics around power, privilege and oppression, and they organize regular events including peer facilitated conversations, spoken word events, and Democracy Plaza programming. 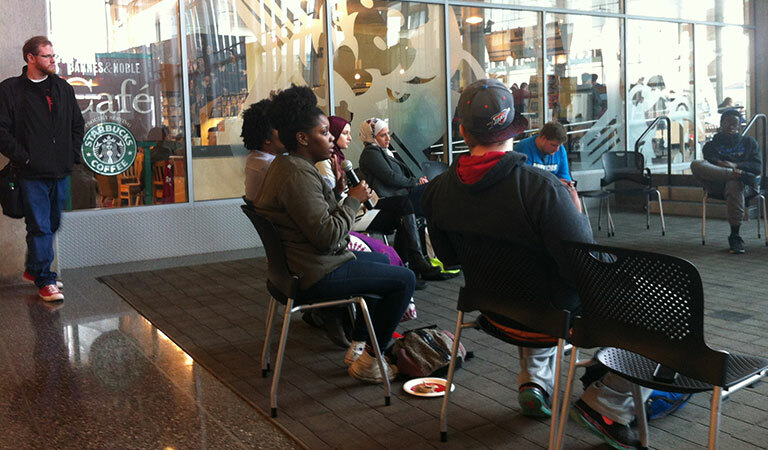 A large group gathered to discuss important issues raised by the Black Lives Matter movement, including current legislation on body cameras at Social Justice Education Pass the Mic event. 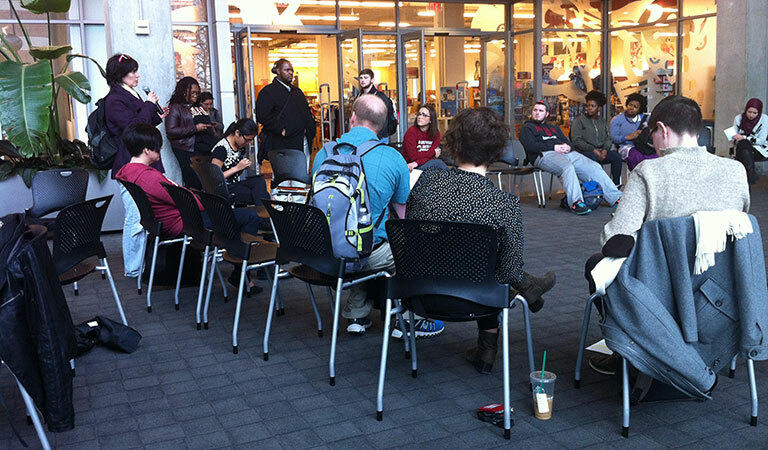 IUPUI student shares information about Indy10, a communication organization focused on fighting for social justice and active, peaceable engagement among citizens, police, and government officials. 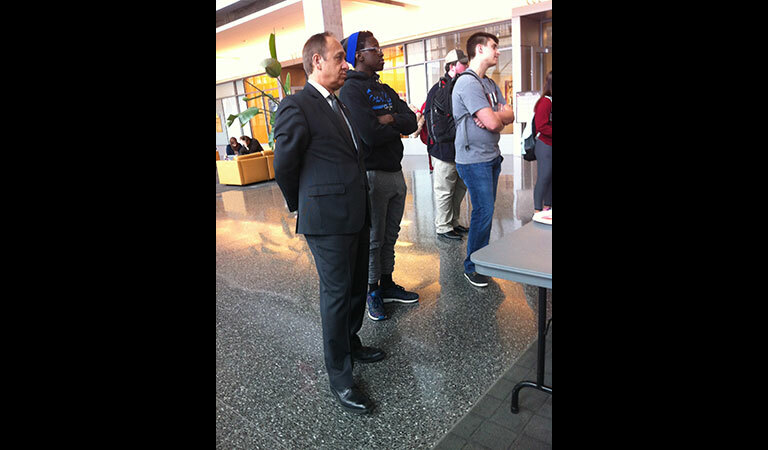 Chancellor Paydar and Herbert Mutumba stand with other students during Pass the Mic event at the IUPUI Campus Center. Amy Armogida, representing IUPUI Students for Fair Wages, speaks at Pass the Mic event about the impact of the new banded tuition policy. 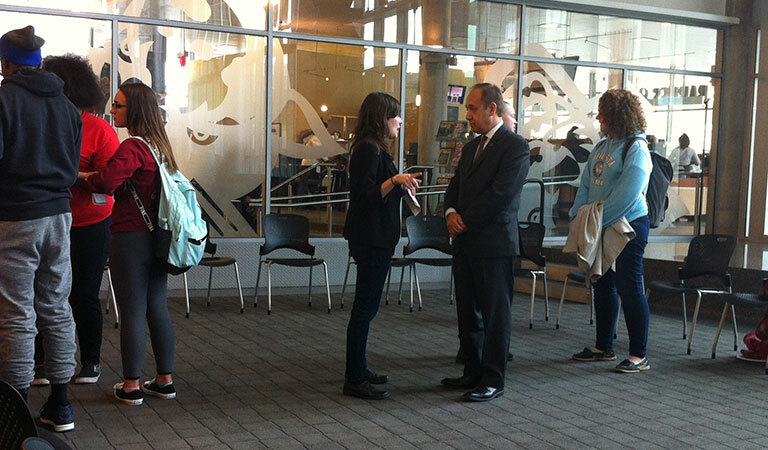 Chancellor Paydar speaks to Social Justice Scholar Emma Fletcher moments after the Pass the Mic event at the IUPUI Campus Center.